Business plans can seem daunting to someone who has never written one but there is much help available. The idea itself might be fairly simple to explain, but if you want to apply for a loan, raise investor capital, or simply have a solid, documented direction for your company, you’re going to need to write a business plan. · Be concise: It’s really important that potential investors can understand what your business is all about from a quick glance at your plan. Ensure that you include a summary of your business, other relevant details about your business, and how it will make money right from the start, and use simple language throughout that is easily understandable. · Be specific: Being specific is just as important as being concise. The details will help you drill down into how you will actually deliver your plan. ·Know your finances: The other essential part of a business plan is the finance section, as finance is the most important part for anything in the world. If your business isn’t going to make any money, it won’t be successful so you need to be very clear on how you will make a profit. Your plan will be incredibly useful when it comes to securing loans and investment, but it’s not only restricted to this but there are many more advantages to it. It’s also a personal tool to help you understand your objectives. Do a SWOT analysis to determine your strengths, weaknesses, opportunities and threats.Ask your adviser or mentor to review your plan and give you feedback and suggested improvements. Business plans can be divided roughly into four distinct types. · The Mini plan: It is the easiest and quickest reference plan for your business. The mini plan is preferred by many recipients because it is easy to look for and they can download stand read it quickly and even refer to read later on their iPhone or tablet. · The Presentation Plan: The advent of Microsoft PowerPoint presentations to the tech world has changed the way many things used to work if not all but the way most of the plans were presented. And while the plan is shorter than its predecessors, it’s not necessarily easier to present. ·The Working Plan: A working plan is a tool to be used to operate your business. It has to be long in detail but may be short on presentation. As in with a mini plan, you can probably, afford to have a somewhat higher degree of informality when preparing and planning out a working plan. · The What-If Plan: When you face unusual circumstances, you need a variant on the working plan. For example, you might want to prepare a contingency plan when you’re seeking bank financing. A contingency plan is a plan based on the worst-case scenario that you can imagine your business would face in near future such as loss of market share, heavy price competition, the defection of a key member of your management team and soothe the fears of a banker or investor. Should a customized business plan template be used, if not then which approach should be followed? There are many ways of approaching about how to write a business plan, and every approach has its benefits over other but some are better than others. Though it is difficult still can you find a completed business plan that matches your business, change the names, and that you can call your own? Well, you could, but a business plan template might be a better idea for this instance. Making certain assumptions using your intelligence and do a little survey of your customers rather than speaking with them directly and asking questions. B-Plans:com is also known as the authority on business plans, that caters to offer a free Word business plan template along with a complete user manual with instructions and a table of contents.B-Plan’s Word business plan templates are comprehensive and are a great option for beginners and new business owners who have just stepped into this field. com: Entrepreneur.com provides a collection of various business tools which are essentially helpful when you set onto venture in this area. The templates can be viewed or be downloaded if you need it for future references through the Seamless Docs platform. Law Depot: The Law Depot is a step-by-step business plan builder that was introduced and offered by the Law Depot.It covers that basic ingredients that you require in your Business plans like the structure, product marketing, SWOT (strengths, weaknesses, opportunities, threats), operations, and details specific to your business in their templates. My Own Business Institute: MOBI, or My Own Business Institute, is part of Santa Clara University’s Center for Innovation and Entrepreneurship that offers a fifteen-section business plan template, including the business profile, licenses/permits, and location, which is available for free download in Word as individual templates, or as a larger all-in-one document. Office Depot: is a Business Resource Center contains free business plan samples for retailers, manufacturers and service providers. Excel business plan financials are also available for manufacturers and service providers, while the retailer business plan template is complete with forecasting and financial tables. Com: Catering to businesses owned by women, Oprah.com is a free one-page business plan templates that can be used by anyone who wants to start a business. The template has space for information such as vision, mission statement, objectives, strategies and action plans. 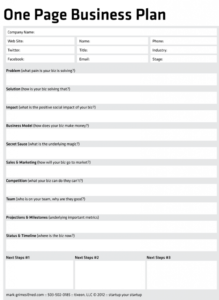 Rocket Lawyer: The template used here is questionnaire-style and asks for key information about your business such as founders, structure and industry, marketing plans, financial projections, etc. Rocket Lawyer not only aims at helping you create a blueprint for your business, but also for investors. Small Business Administration: The Small Business Administration (SBA) offers an online business plan template and guide to help you build your business plan, step by step. It gives the facility to choose from six business plan sections(Executive Summary, Company Description, Market Research, Product/Service Line, Marketing and Sales, Financial Projections). The $100 Startup’s One-Page Business Plan: The $100 Startup, a New York Times and Wall Street Journal bestseller, offers the One-Page Business Plan. 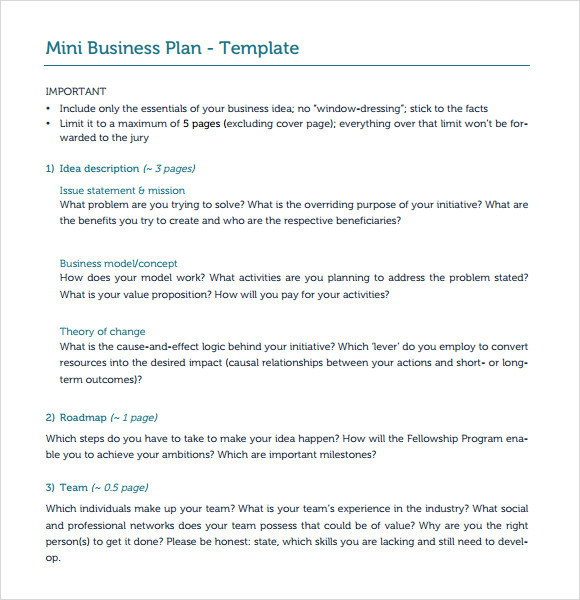 This free business plan template covers everything from your business overview to finances, marketing, goals, and challenges it also includes resources which include a one-page consulting business plan, one-page marketing plan, product launch guide and many more of this type. Free-Plan: The Free-Plan offers a comprehensive Word-based document that contains a detailed framework for building your business plan, including sample text, tables, and charts, as well as a manual with section-by-section assistance. com: Finance basically deals with investments and finance-related issues. V Finance is a publicly traded company that uses their own personal knowledge of investment in creating a business plan template. 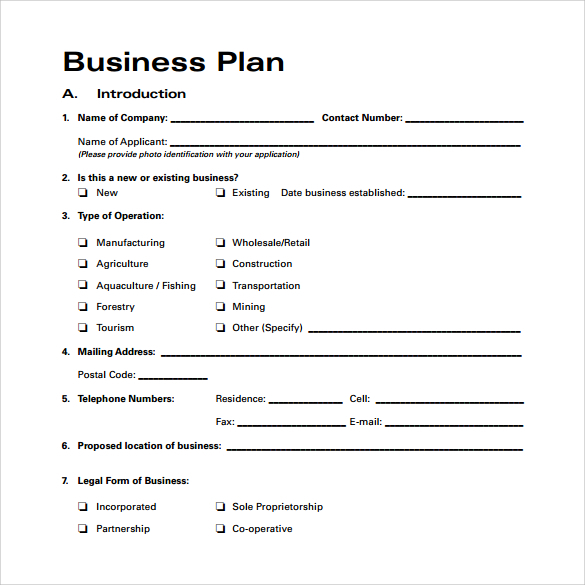 With this site, you can download a free business plan template targeted to your industry. 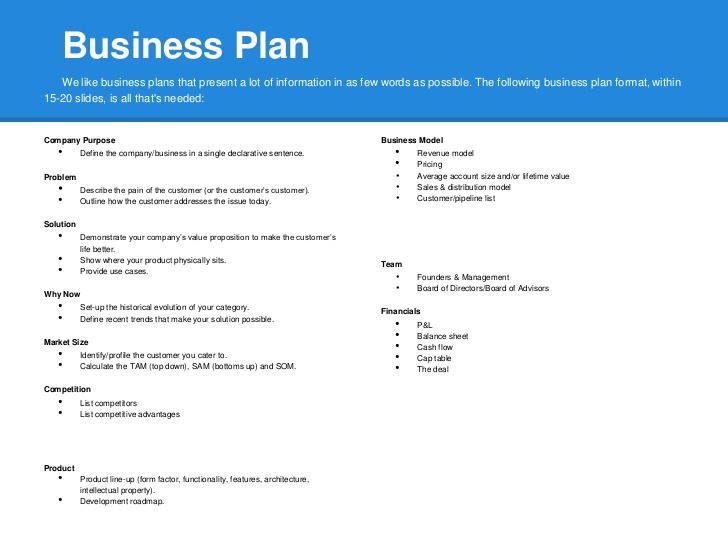 com: This online business plan allows you to fill out a template on the site section by section. It also tracks down your progress on the plan and allows you to share the plan once it’s completed. A Vision Statement: It tells about your goals in few words. This will be a concise outline of your business purpose and goals. The People: The most important ingredient for your success will be yourself. Focus on how your prior experiences will be applicable to your new business. Be factual and avoid hype. This part of your Business Plan will be read very carefully by those with whom you will be having relationships, including lenders, investors, and vendors.